Robert Smart menswear of York are proud to stock John Smedley knitwear. Known for high quality knitwear and a rich manufacturing heritage, John Smedley are a luxury brand with roots in the Derbyshire countryside and garments regularly featured in some of the world’s most prestigious fashion magazines. Though John Smedleys past helps make them who they are, it’s their design and innovation that keeps John Smedley at the forefront of contemporary fashion. Whether they’re planning for Spring, Summer, Autumn or Winter Collections there’s always plenty in store for the year ahead. We’re extremely proud of our outwear collections because each year we build on the variety and stunning combinations that are available. The Men’s range features some truly special pieces that boast a whole new level of detail. As always, garments are of the highest quality, including Merino wool for cooler climes and cotton items for when the warmer weather arrives. John Smedley’s extra-fine New Zealand Merino wool is specially bred by selected wool growers on the alpine pastures of the South Island. It’s a soft, sumptuous yarn that’s naturally warm, comfortable and easy to maintain. In 1995 John Smedley began a unique sourcing programme with a specially selected number of wool growers in New Zealand which we still maintain today. It means we can trace our knitwear and control its provenance. They also have Zque accreditation which guarantees that we maintain fair and ethical practices in the way we work with their suppliers and the way they treat their sheep, as well as the quality of the wool. 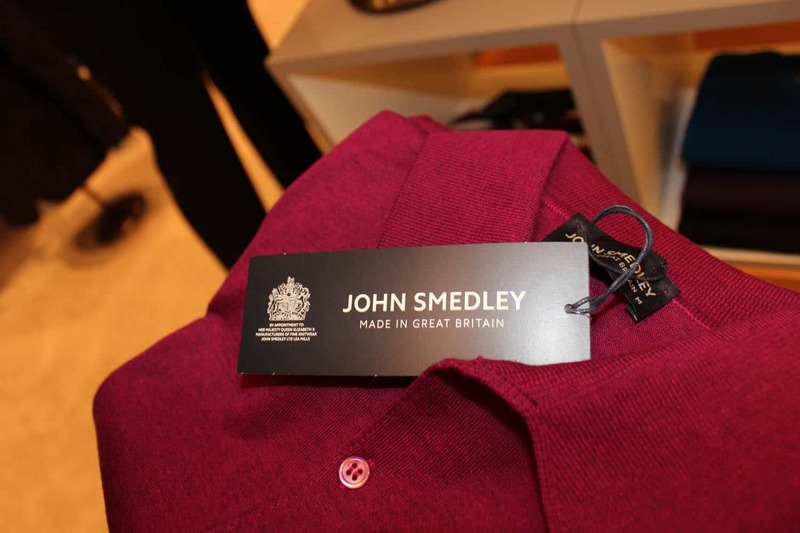 Experience John Smedley today is based on 225 years’ experience of knitting. We take our long-standing values and apply them to a contemporary fashion industry. They strive to make all our garments at their mill in Derbyshire, which keeps they true to their roots, but equally important, it means they manage our traceability and stay in control of what they create. All of this helps John Smedley to guarantee quality and apply quality standards. There are no short cuts. No searching for lower priced alternatives which mean lower quality. John Smedley only buy the very best and we’re in control of the production process from start to finish. Each John Smedley sweater takes around seven weeks to produce and consists of more than three miles of the finest yarn and around 1.2million stitches.